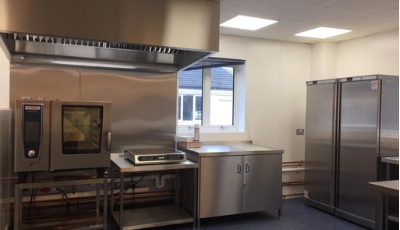 Indigo Catering Equipment continues its supply and installation of Steamplicity kitchens across West Sussex County Council Primary Schools after having successfully completed another two projects this month. 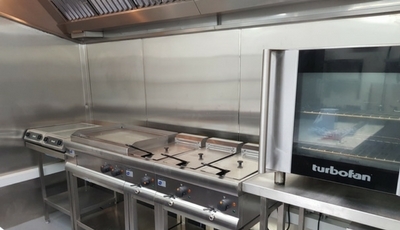 Steamplicity is an award-winning system for cooking food in a healthy nutritious way whilst saving labour, energy, space and reducing waste. 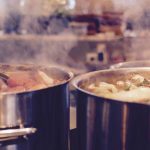 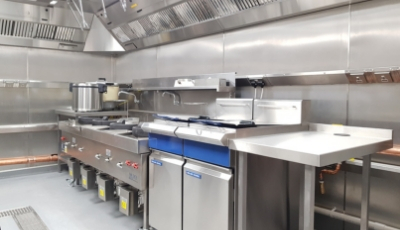 No space is too big or too small when it comes to supplying Steamplicity kitchens to Indigo Catering Equipment having transformed rooms no bigger than a broom cupboard Into a fully operational service kitchen serving 150 – 300 meals in a single lunch sitting. 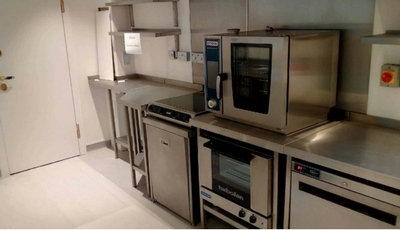 Indigo Catering Equipment on this occasion worked with the main building contractor to ensure that the projects were delivered on time and within budget. 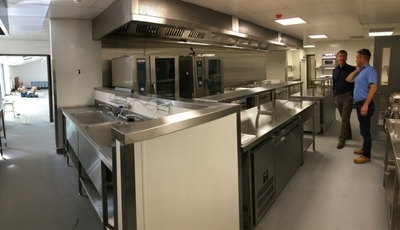 Indigo Catering Equipment’s building requirement services are growing from strength to strength with another two projects completed at Rye and Seaford. 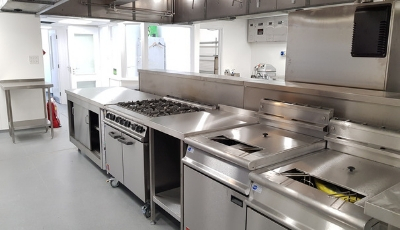 Indigo Catering Equipment were asked to provide additional hot food service for Rye Academy’s increasing numbers which involved taking out existing internal walls and adjusting existing water and electrical supplies to suit. 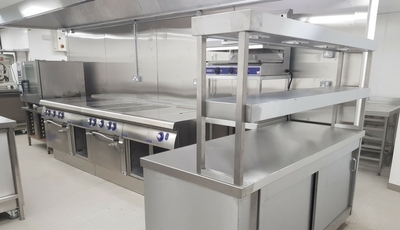 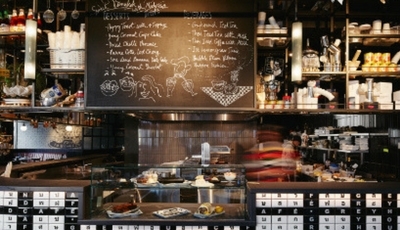 New hygiene clad dwarf walls were introduced and mobile server counters supplied to supply the ever growing demand. 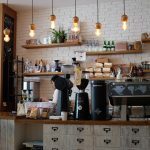 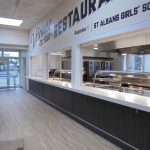 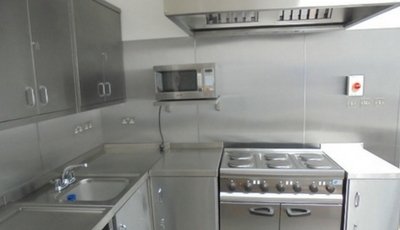 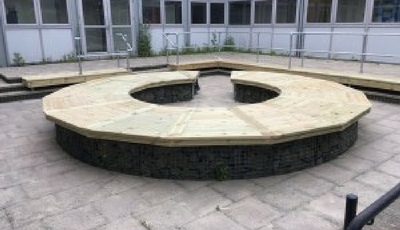 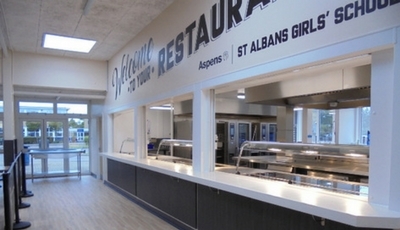 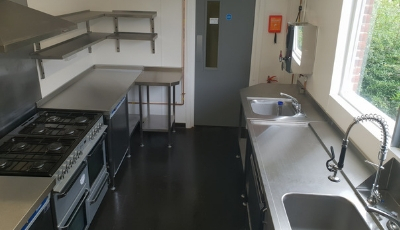 Whilst at Seaford we were appointed to hygiene clad the entire kitchen in just four days which was no mean feat, seeing all the electrical supplies were surface mounted and that all the catering equipment had to be disconnected and reinstalled after. 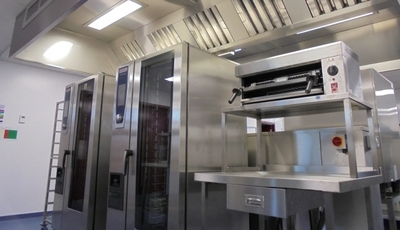 Indigo Catering Equipment Ltd Appreciation Award. 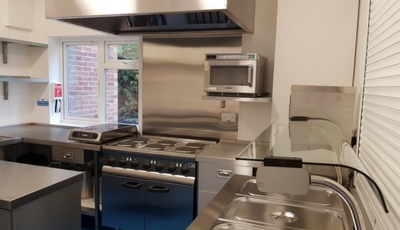 This month sees Indigo Catering Equipment accept an appreciation award from Rotary International, in its continued support work for survivors of domestic violence. 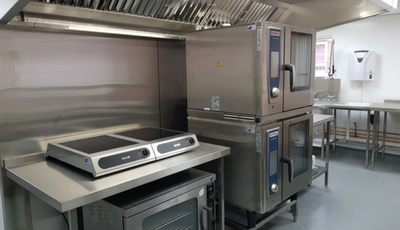 Indigo Catering Equipment’s charitable donation of the supply and installation of commercial catering equipment to The Rotary Club of Chichester Harbour Community Partners, we hope will in a small way contribute to the efforts made by so many that are needed to continue this very needed support to families in need. 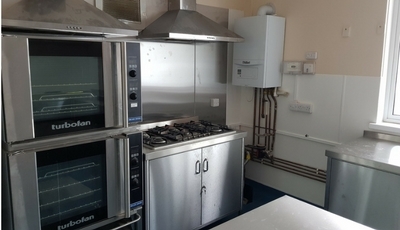 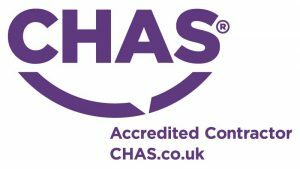 We offer our support to the Rotary Club of Chichester Harbour Community Partners continued hard work and wish them all continued success in helping those in need.